Would you like a fabulous cottage holiday in Dorset? Dorset is much loved for cottage holidays because of its amazing countryside, stunning coastline, pretty villages and sandy and shingle beaches so do make it your number 1. choice for family breaks and romantic getaways. Many love to spend time on the Jurassic coast where you may well come across some fossils and we don't mean the retired people who holiday here. Rent a cottage in a village or one of the pretty market towns in Dorset such as Beaminster, Blandford, Bournemouth, Bridport, Dorchester, Shaftesbury, Sherborne and Wareham. Weymouth beach is another attractive area for seaside cottages. There are so many pretty parts of Dorset to visit and lots to see and do. What you choose to do on a self-catering holiday in Dorset and the West Country will depend on your own personal circumstances. The south coast of England is always mild and pleasantly green with excellent beaches You may enjoy country walks or cycling on a relaxing cottage break and want to take a cottage holiday in one of Dorset's prettiest towns or some tourists prefer to go out and about to the numerous attractions in Dorset. There are lots of self catering cottages in Dorset including cottages in the countryside, pet friendly cottages, cottages with pools and coastal cottages near Dorset's beaches. Mansions to rent for events and party weekends in Dorset, self-catering or employ outside caterers for weddings, birthday parties and all kinds of celebrations. 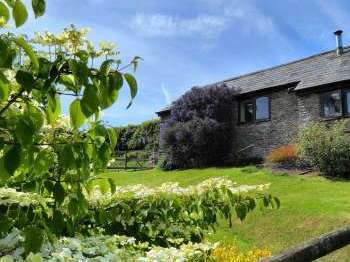 Self catering country cottages, holiday cottages, apartments, country houses and all types of self-catering holiday homes in Dorset England, UK near a golf course. Find a perfect cottage for you on or near Dorset’s Jurassic Coastline for a special seaside holiday in the South West of England. Dorset Cottages with Pools, find self-catering holiday cottage accommodation in Dorset with swimming pools, including indoor and outdoor pools. Searching for pet free self-catering accommodation in Dorset? Find holiday cottages, lodges and apartments in Dorset where no pets are permitted to stay. Looking for a romantic retreat in Dorset? Choose from log cabins, lodges and cottages for two in Dorset on Country Cottages Online for loved up breaks away.